WHS Hort Bedding Plant Sale SAT. 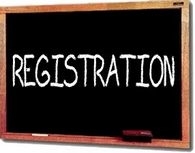 APRIL 20th and 27th 8:00 a.m. – 10:00 a.m.
2019-2020 Kindergarten Registration New Baden Elementary Trenton Elementary Kindergarten registration for the 2019-2020 school year begins in April. If your child in already enrolled in PreK or ECE, you do not need to complete the full packet of information that is listed below. The school office will have your forms that you will need to sign. The packets below are for new . . .
Summer PALS 2019: Quick Info: Starts Tuesday, May 28, and runs 10 weeks through Friday, August 2 For students who have completed Kindergarten - 5th grade Closed on May 27 and July 4 Housed at New Baden Elementary this year Will have drop off and pick up times at TE and these kids will be shuttled to and from NBE FULL PROGRAM GUIDE: Wesclin PALS Summer Program 2019 . . .